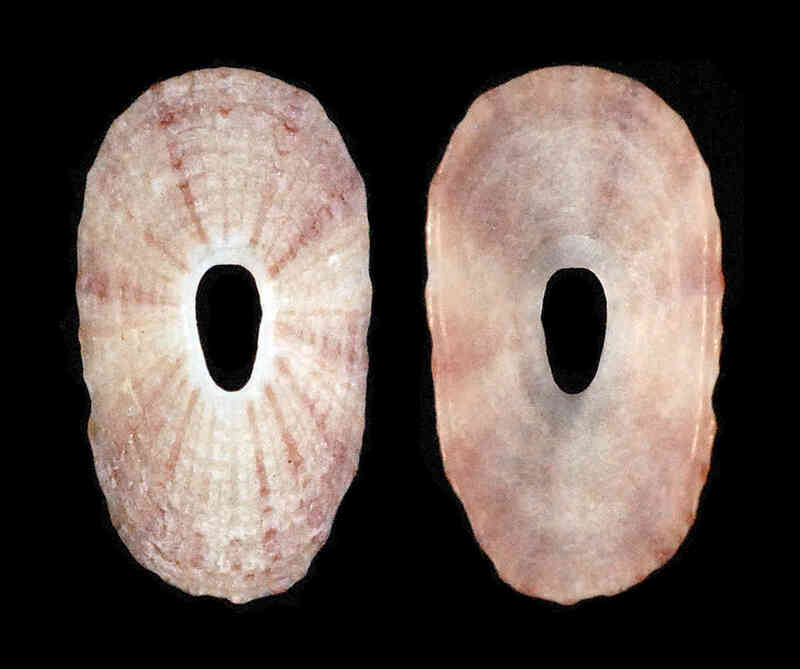 Shell size to 10 mm; shell with a relatively large "keyhole" centered on shell. Shell ends slightly turned up. Shells side lighly concave. Sculpture of about 20-25 scaly radial ribs and concentric threads. Color whitish with red-brownish maculations. Locally rare. 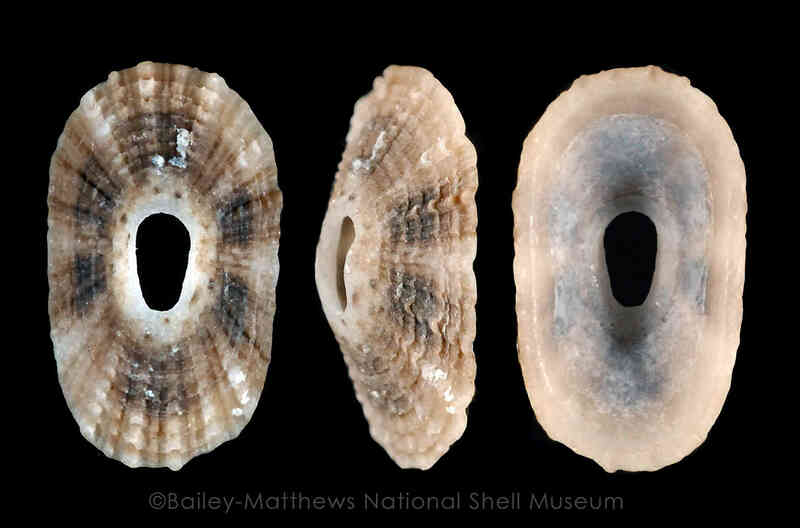 Only shells present in Museum's Sanibel collection. 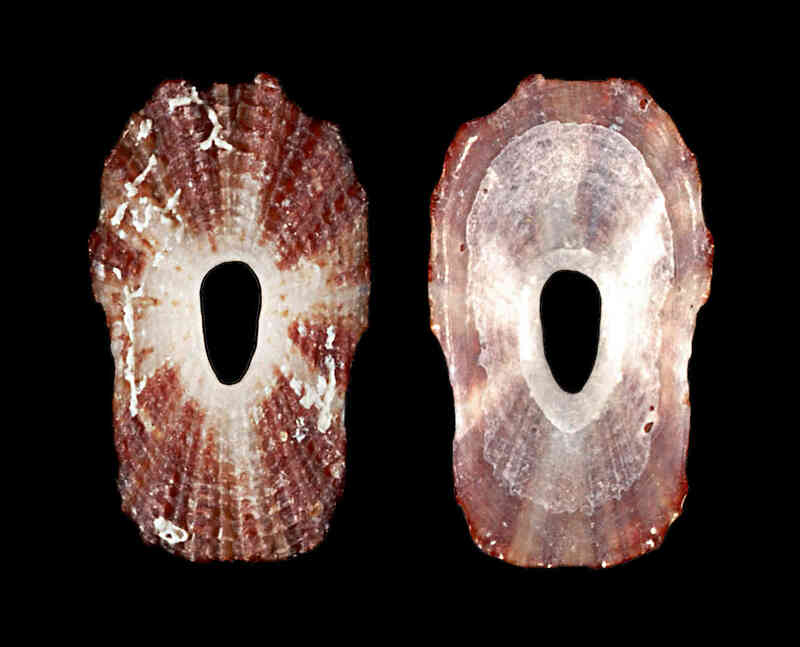 The main shell (three views) was found by Susan J. Hewitt on Blind Pass, Sanibel, December 2015.